Please join us at the Copetown Community Center on January 16th7pm to discuss the impact of the recent Kennedy Farm land transfer. We have still yet to locate any physical evidence of an imminent health order to shut well. 100’s of hours of research over the last year. 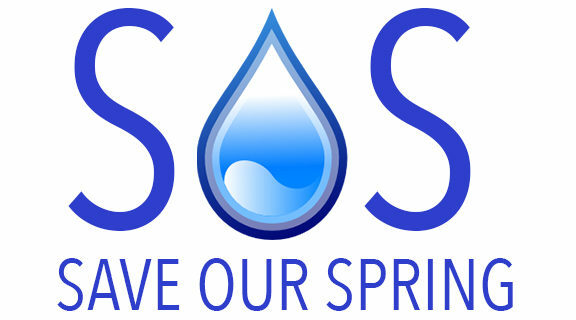 What we did find we are posting to http://saveourspring.ca/news to allow full transparency – we now have all land deeds, easements, news articles and communications of both SOS and PAWS loaded for public viewing. We encourage you to research and come to your own conclusions. Please also follow any highlighted words in this email to link to the supporting referring document. Our current PC Government has Bill 66 on the table for review– your comments are required by January 20th– please take a moment and view the Planning Actof Bill 66. It essentially gives Municipalities the right to dismiss the GreenBelt and the NEC. Major zoning changes are proposed. What does this mean for the Ancaster Well – it means under Bill 66– The Open For Business Act, parties if they choose could commercialize the water. Let’s celebrate the heritage of this water. Ancasteris a community built on water, Ancaster was settled in 1823 due in part to its easily accessible water power. The Ancaster Well, is our Public Water supply and needs to stay that way. We need to honor the language of the land Deedand return the well to Public Access and attach Heritage Status. The Ancaster Well was built with a Heritage Grant for a reason – we believe this water is our Heritage. Change comes and progress happen quickly. Copetownwill become a dense urban area. It changes the dynamic and fabric of communities with rapid density growth. We now know our Councillor will not protect the public water rights over land development. It’s up to us. Will you stand up to restore public access to the Ancaster Well? Join us in Copetown – January 16th7pm. ← 2019 PLANNING AND ROAD ALLOWANCE Governors Road and Sulphur Springs Rd.